Following their special appearance at the CMA Awards last month, Sugarland is confirmed to perform at Country to Country 2018. This will be the multi CMA Award and Grammy Award winner’s first full-band live performance together in 5 years and their first UK set since 2009. 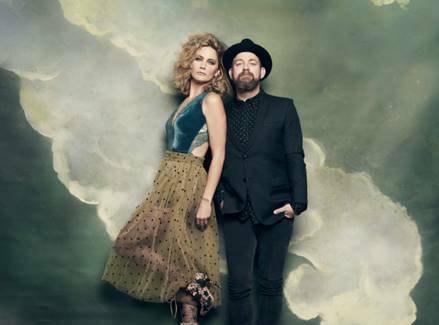 Friends of C2C, Jennifer Nettles and Kristian Bush have sold in excess of 15 million records worldwide and have had incredible solo careers since their hiatus in 2012. Known for such hits as “Stuck Like Glue”, “Baby Girl,” “Stay” and “All I Want to Do,” Sugarland’s last album was 2010’s The Incredible Machine. The duo is currently back in the studio; for more information visit http://www.sugarlandmusic.com. Country to Country Festival will take place on 9-11th March 2018 at The O2 in London, The SSE Hydro Glasgow and the 3Arena in Dublin. Sugarland join what is already an outstanding line up including Faith Hill, Tim McGraw, Little Big Town, Kacey Musgraves, Emmylou Harris, Kip Moore, Kelsea Ballerini, Ashley Campbell, Brett Young, Luke Combs, Old Dominion, Margo Price and Midland. The C2C Spotlight Stage will return with performances from Ashley McBryde, Jillian Jacqueline, Lindsay Ell, Lukas Nelson, Morgan Evans, Russell Dickerson and Walker Hayes. Tickets are onsale now via http://www.axs.com/c2c / 08448 24 48 24 and http://www.gigsandtours.com / 0844 811 0051. Tickets for Dublin will be available at http://www.ticketmaster.ie and Glasgow http://www.gigsinscotland.com / 08444 999 990.